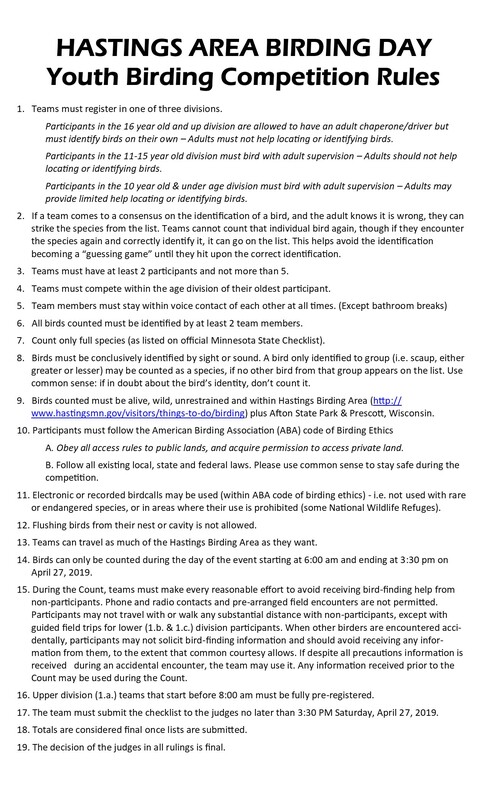 Celebrate the many birds of Minnesota at the Hastings area Earth Day Birding Festival. 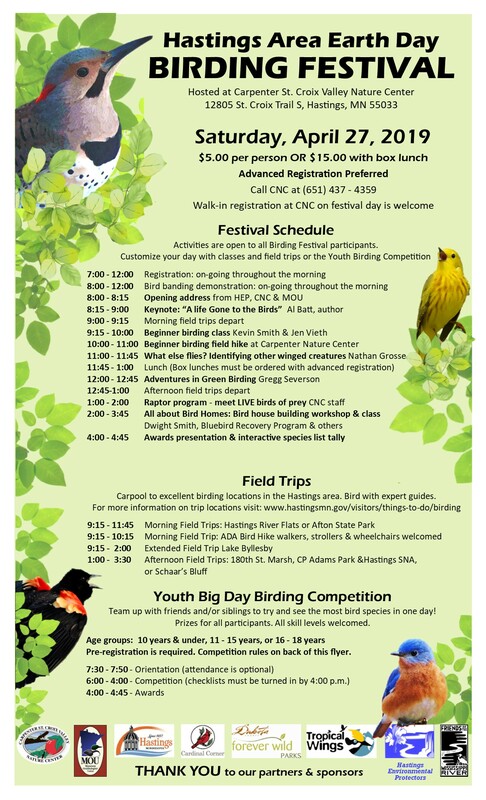 This is the fifth year the Hastings Environmental Protectors has teamed up with CNC for the Birding Festival. Some of the highlights are an “Introduction to Birding” class, a “Raptors 101” class, bird banding demonstrations, and guided bird trips in the Hastings area. Check out the schedule of events below, or click here for a printable version.